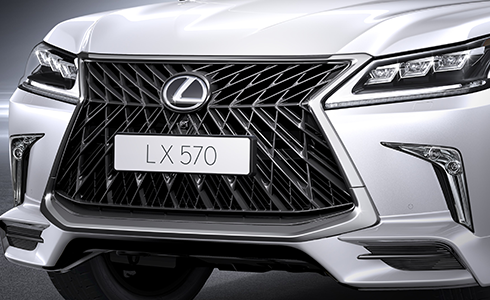 The LX signature grille makes an iconic statement, conveying an aura of muscular appeal for the Lexus flagship SUV. Integrating an expressive meshed texture to give a whole new level of sophistication, the aggressive styling of the spindle grille inspires a sense of amazement. Complementing the grille is the front bumper spoiler that extends downwards, lending a chiseled front look whilst enhancing the aerodynamics of the LX Sport. Robust and muscular, the rear bumper spoiler evokes a sporty vibe and a contemporary appeal. 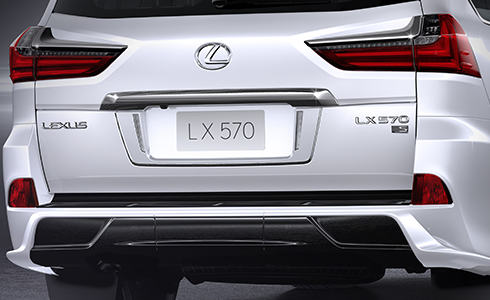 Designed to improve straight-line stability, the rear bumper further infuses a distinctive attitude to the LX Sport with a stylish ‘S’ logo badge signifying “Sports”. Ground clearance is 30 mm lower from the normal grade. Elegant, smart and practical LED door courtesy “puddle” lights enhance visibility and safety when the vehicle’s doors are opened at night. 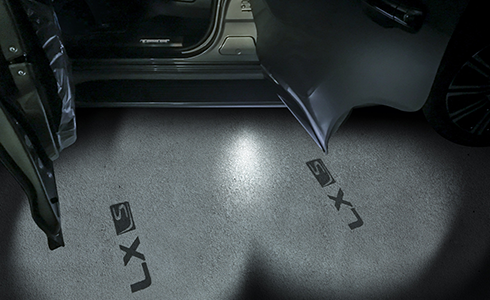 Beyond functionality, the courtesy lights cast an enchanting projection of the ‘LX S’ logo that elevates the thrill of owning an LX Sport. 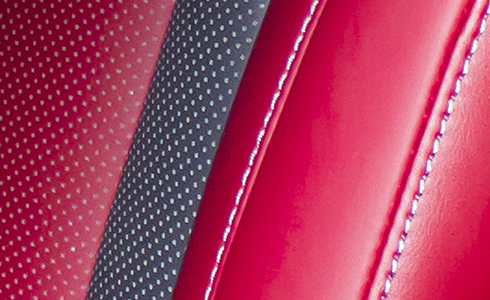 Featuring distinctive sport styling and beautifully stitched leather seating in exclusive red with black accents. Luxurious and expressively elegant with generous eight-passenger seating. Discover a new level of comfort and refinement. 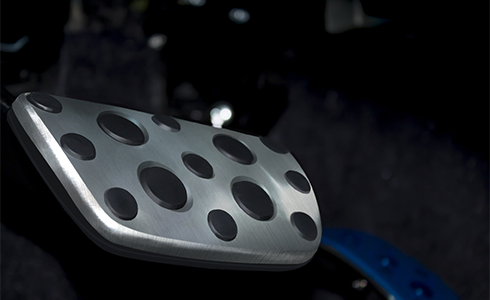 The aluminum pedals ensure excellent control and functionality, helping to suppress foot slippage while supporting smooth and secure movement, enhancing overall driving experience. 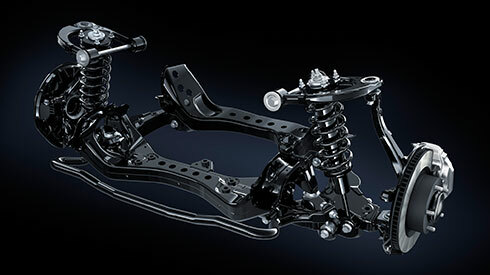 Designed to enhance driving stability, steering response as well as cornering performance by effectively absorbing road deformation, noise and vibration during high speed driving. Experience better control and smoother ride on diverse road conditions.